Former Vice President, Atiku Abubakar, on Saturday expressed concern over the current brain drain out of Africa, which results in the continent’s best and brightest taking their ambitions, intelligence and drive to other parts of the world, such the United Kingdom and America. Atiku who was speaking in his Keynote speech titled Philanthropy and Human Capital Development in Africa: A contribution from Yola, Nigeria, at the Panel on Philanthropy, LSE Africa Summit, at the London School of Economics and Political Science said Africa needs such bright and best brain to remain in Africa to understand the problems in Africa. 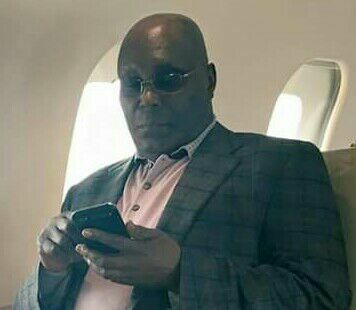 Atiku who is also the Turakin Adamawa added that “My concern, however, is to help develop my country in deeper and more holistic ways. Why should we want to facilitate the brain drain out of Africa, to enable our best and our brightest to take their ambitions, their intelligence, and their drive to London or New York? We need them in Africa. We need them to understand the problems in Africa. We need them to pitch in. He however explained that a great many more students could be sent to schools like the LSE on scholarships, using the equivalent of the funds currently being channelled to running the American University of Nigeria (AUN), Yola, which he founded, thereby saving costs on the construction of buildings, running of a power plant, and provision of security and the like. However, he explained, how we are to use philanthropy to identify, motivate, train, and reward people in such a way as to promote development in Africa. While exploring the theme of this year’s event, “Philanthropy: Investing in Human Capital”, Atiku pointed out the various roles his university has been playing in the sustainable development of Nigeria, such as the TELA program (Technology Enhanced Literacy for All), now funded by the United States Agency for International Development, which is using the old technology of radio to reach twenty thousand vulnerable, out-of-school children in the surrounding community. He also mentioned the Adamawa Peace Initiative (API) which reaches out to local Muslim and Christian religious leaders, as well as local business, community, and educational leaders as a way of fostering peace in a region ravaged by terrorism. “AUN is, I believe, one of the first universities in the world whose stated mission is to be a ‘development university’,” Atiku said, explaining that the school focuses its teaching and research on the problems of development in all of its senses: literacy, economic planning, sustaining and restoring the environment, entrepreneurial skills, public health-the whole spectrum. The former Vice President, however, emphasised that private efforts, including philanthropy, are not a substitute for carefully targeted and efficiently managed public investments in these vital areas. Other speakers at the annual gathering, which showcases Africa’s contributions to the world and fosters debates on the challenges facing the continent, were: Okendo Lewis-Gayle, Founder and Chairman of the Harambe Entrepreneur Alliance (HEA); Ashish J. Thakkar, Executive Chairman of Mara Sokoni; Sangu Delle, Founder and CEO Golden Palm Investments; Geraldine Joslyn Fraser-Moleketi, Special Envoy on Gender at the African Development Bank and Parminder Vir OBE, CEO at Tony Elumelu Foundation.